The GeForce GTX 1080 Ti, the new top consumer graphics card from Nvidia, go on sale March 10 starting at $699, the company announced last night during a press event. The new card is said to be 35 percent faster than the GTX 1080 and even faster than Nvidia’s $1,200 Titan X. The card features 3,584 CUDA cores and 11GB of GDDR5X video memory running at 11 Gbps. The card also reworks the already efficient cooling system found in previous GTX cards using a new high-airflow thermal solution. Nvidia says that the card also has a new 7-phase power design with 14 high-efficiency dualFETs that deliver better power efficiency at the highest usage and power levels. 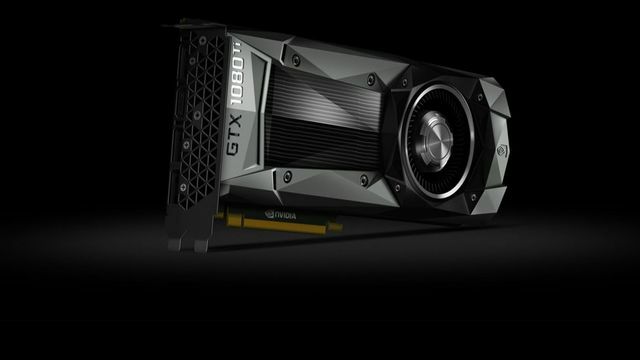 GeForce GTX 1080 Ti graphics cards, including the NVIDIA Founders Edition, will be available worldwide — across 238 countries and territories — from NVIDIA GeForce partners, including ASUS, EVGA, Gainward, Galaxy, Gigabyte, iGame, Innovision 3D, MSI, Palit, PNY and Zotac, starting March 10. Prices, including those for the NVIDIA Founders Edition, start at $699. Pre-orders on the NVIDIA webstore begin March 2 at 8 a.m. PT. Nvidia also announced that it will be giving away 108 of its Ti cards to GeForce Experience users. To be eligible, you just need to download GeForce Experience 3.0 and opt-in “to receive the latest rewards, news and more from GeForce and Nvidia.” Winners will be emailed on March 7.